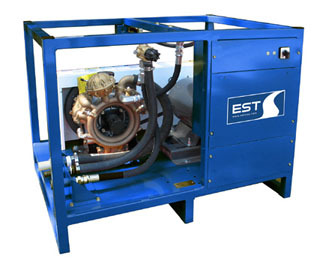 The gas engine water cannon is a high volume, low pressure system designed to effectively and economically complete large cleaning jobs quickly. This site specific package eliminates the need to provide a filtration or a water treatment system. 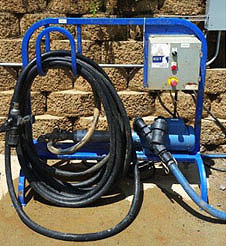 The belt driven water cannon utilizes a diaphragm pump that can handle solids up to 3/32 in size. Auto shutdown not available, must be suction fed inlet.